We ride on the Oregon Coast Beaches! Please call for an appointment and daily availability to ride at our current location, Nehalem Bay State Park. Ages 6 and up, rider must have the ability to mount horse with minimal assistance, able to control reins, able to ride alone and able to follow the horse guide's verbal and physical instruction. Come see the beautiful Oregon coastline, enjoy the rugged dunes and sea wildlife--birds, deer, elk, seals and occasionally a whale all on horseback! We have experienced horses for all skill levels and miniature horses to accommodate kids. Guidance and instruction included. We stop to take photos on the beach. Please bring cameras, but no extra baggage! Our horses are now exclusively stabled at Nehalem Bay State Park near Manzanita, Oregon through Labor Day. We are conveniently located from your beach city stay--Visit us at our corrals in Nehalem Bay State Park Day Use Area 34600 Garey St. Nehalem, OR 97131 (follow the signs). We are only in Pacific City, OR at the day use area in Bob Straub State Park October-April. 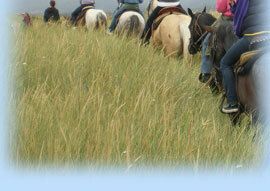 Two beautiful locations to enjoy the ocean trails for a horseback ride on the Oregon beach! Rides available mid-mornings and afternoons! Featured on KOIN Studio 6 News Portland along with Oregon Beach Vacations. A great thank-you from Girl Scout Troop 10443! Balance to be paid in cash OR an EXTRA $5.00 charge will incur to use a credit card on premisis! PLEASE CALL to confirm availability BEFORE paying online. cash, no checks, before riding. Please remember $5 parking permits at Oregon Parking Lot Kiosks. NO backpacks, cameras around the neck, purses, selfie sticks or drones. The concession in Nehalem Bay State Park is being run under contract with Oregon Parks and Recreation Department. Riders must be at least 6 years old to ride horse, must be able to mount the horse with minimal assistance, must be able to ride alone, must be able to follow the horse guide's verbal and physical instruction, etc. **We reserve the right to refuse services.Copyright 2018 Oregon Beach Rides LLC, Oregon Coast Horseback Riding. All-Rights Reserved. All Content and Photos are strictly property of Oregon Beach Rides. All Content Copyright 2017 Oregon Beach Rides LLC.